The Face on the Bar Room Floor is a short film written and directed by Charles Chaplin in 1914. Chaplin stars in this film, loosely based on the poem of the same name by Hugh Antoine d'Arcy. 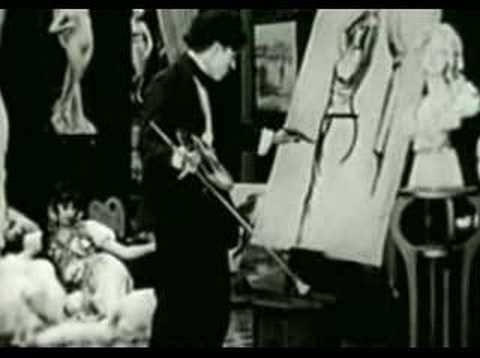 A painter turned tramp (Charlie Chaplin), devastated by losing the woman he was courting as a wealthy man, finds himself drunk and getting drunker by the minute with some sailors at a bar until he's literally falling down. He keeps futilely trying to draw the woman's picture on the floor with a piece of chalk until he finally passes out cold (or perhaps dies, as in the poem) at the end of the film.